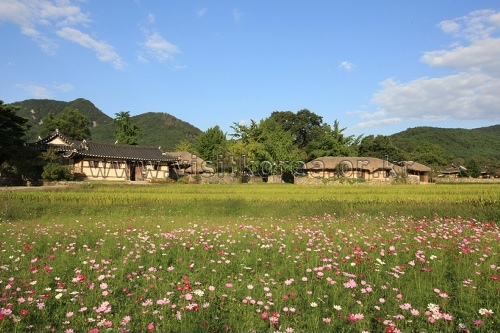 Oeam-ri Folk Village is occupied by the families of its founder Ye-an Lee who settled here about 500 years ago. 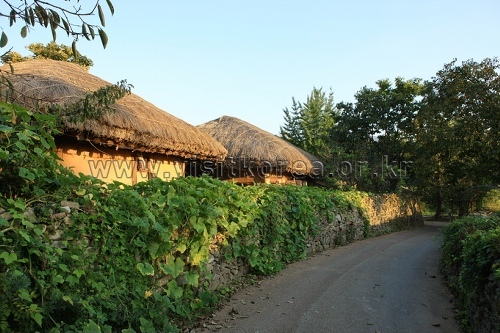 There are about 86 Giwa houses and straw houses with narrow stone fence alleyways between them. 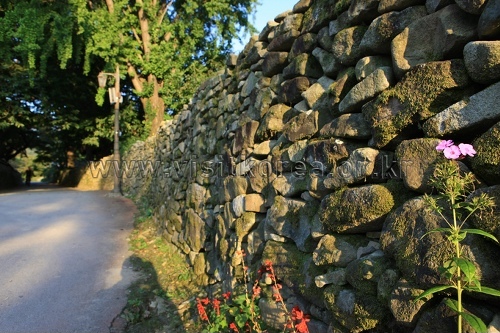 When you walk along the stone fences you can experience the deep tradition roots of the historic village. 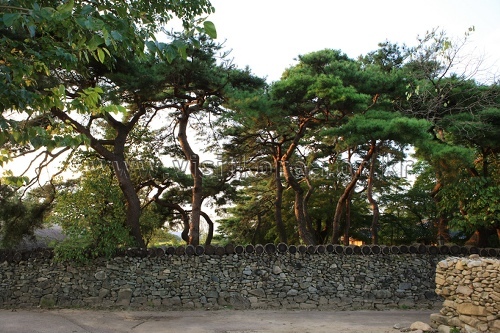 You can see all kinds of trees in the front yard of the houses, such as persimmon trees, apricot trees, chestnut trees, and gingko trees. 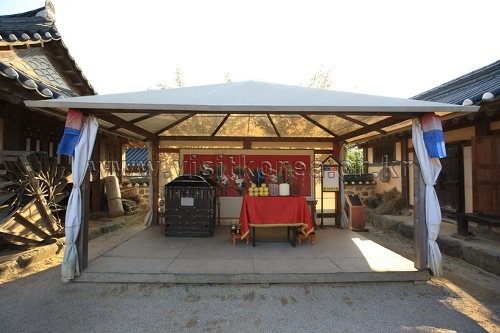 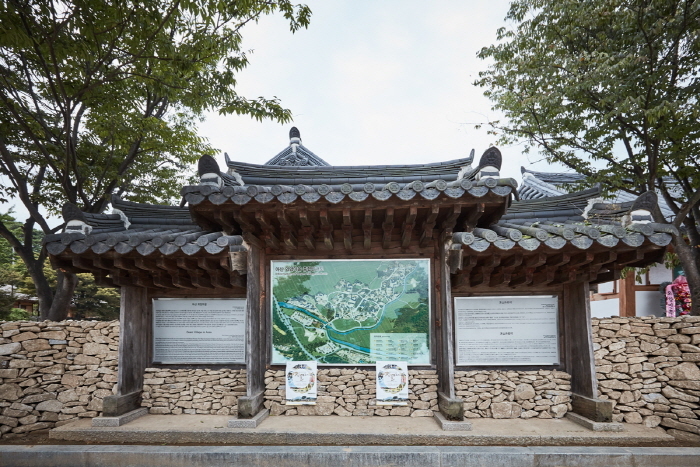 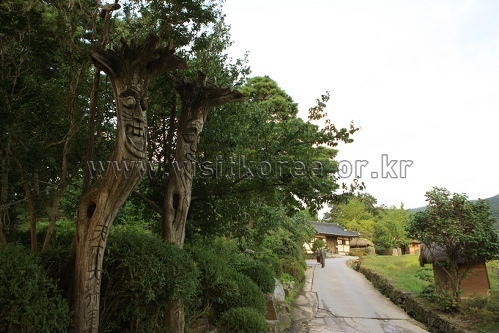 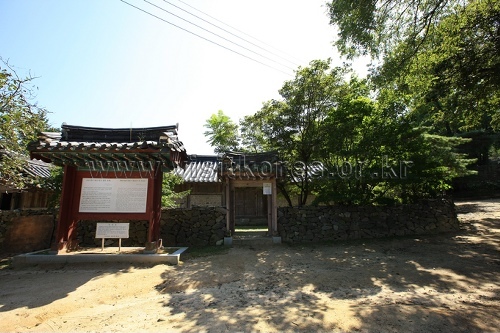 At the front entrance to the village you can see the totem pole guardian, and daily artifacts of the Joseon Period (1392-1910) such as treadmills, millstones, water mills, and thatched roof houses. 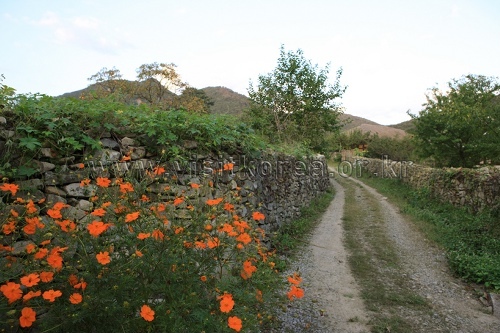 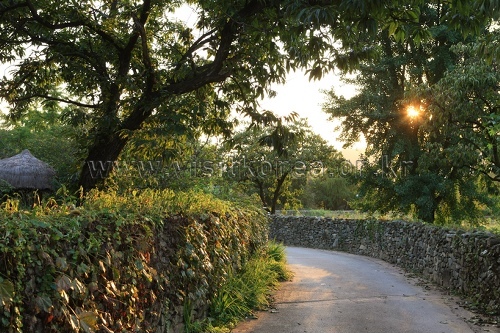 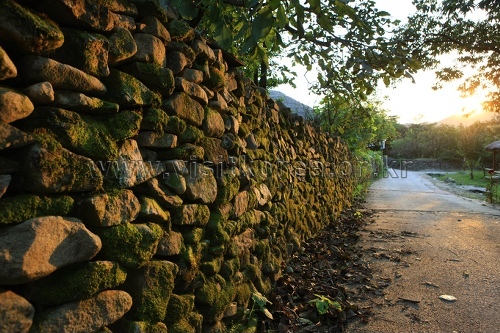 The stone fence roads and Yusil wine add to the traditional atmosphere of the place. 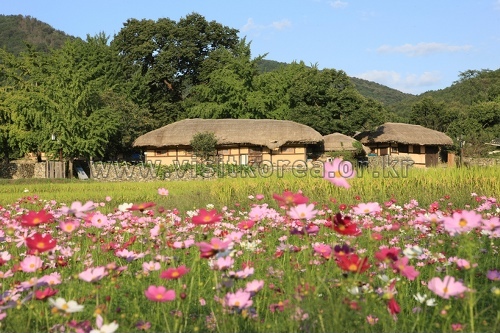 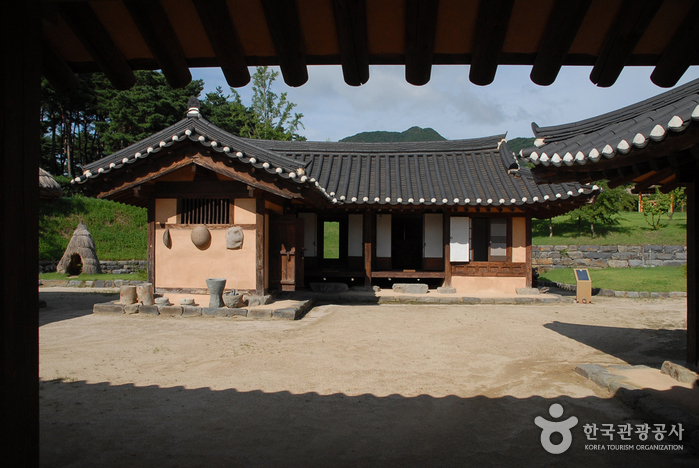 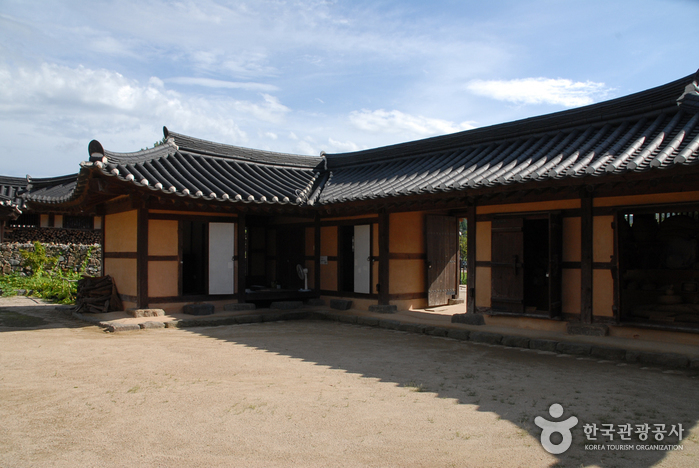 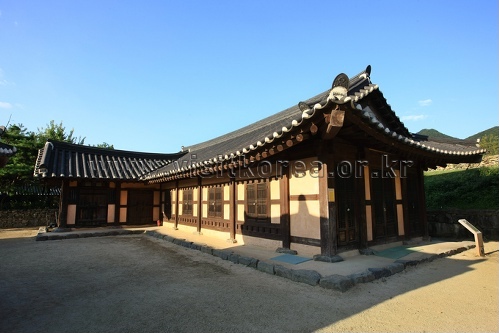 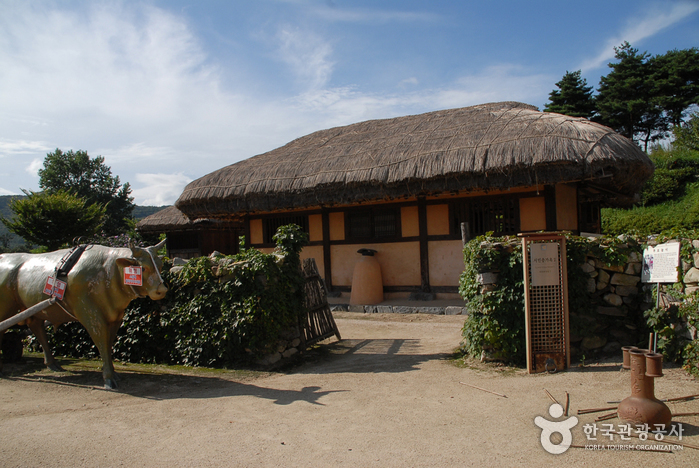 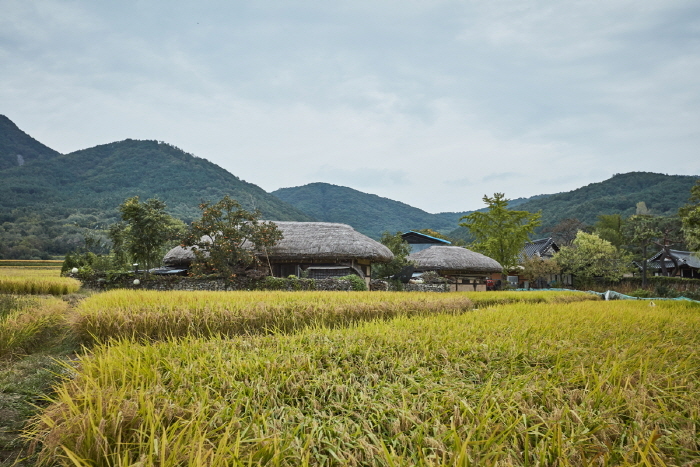 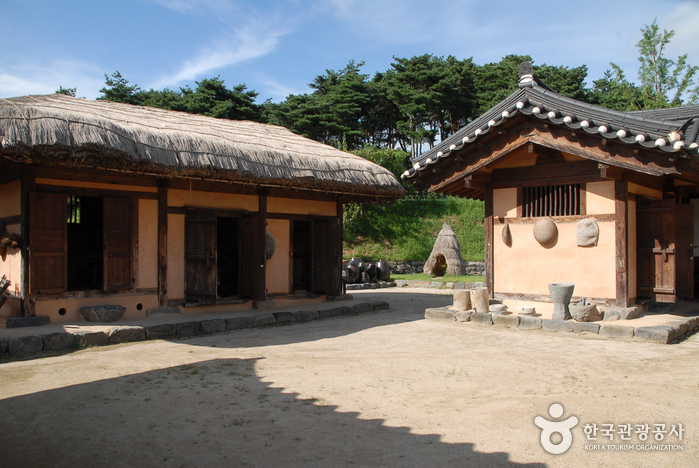 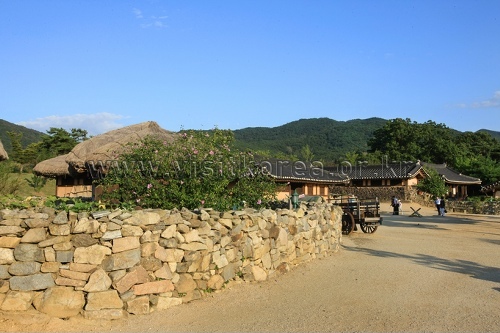 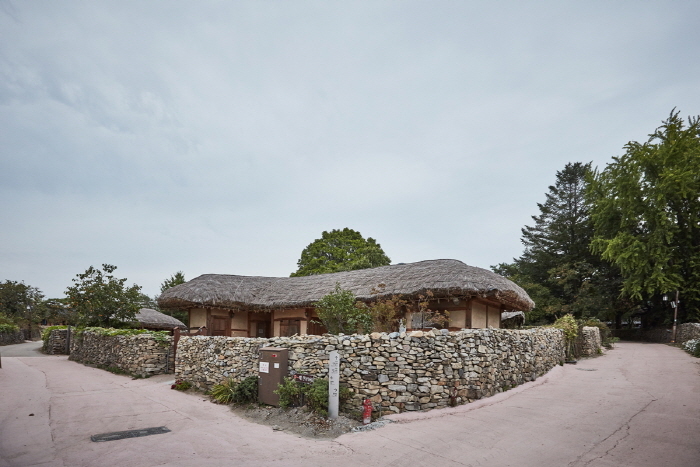 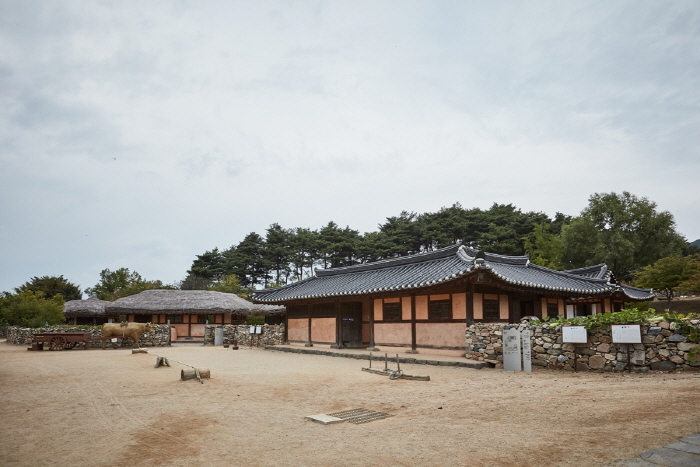 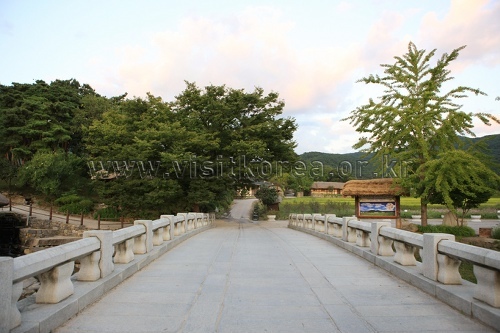 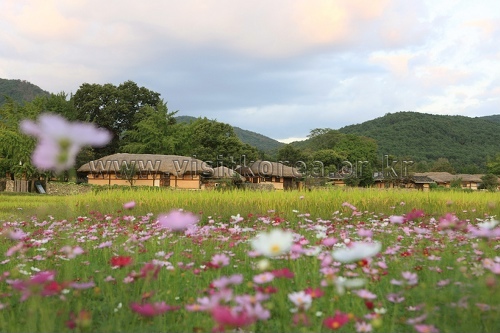 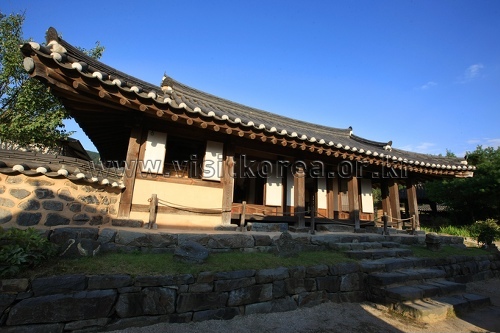 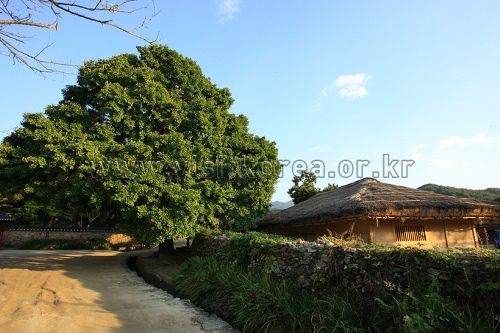 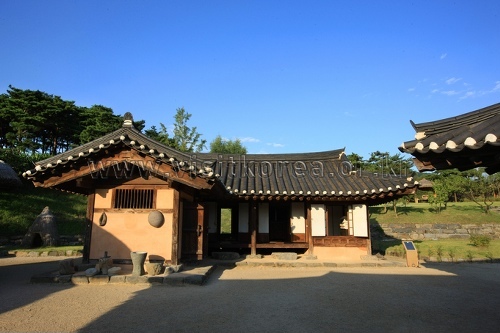 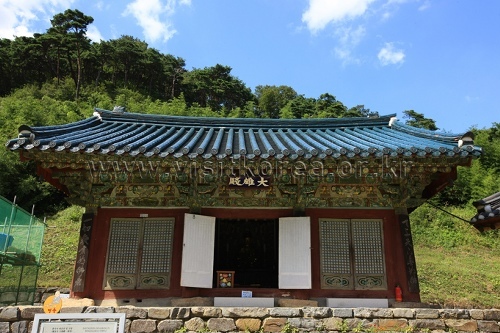 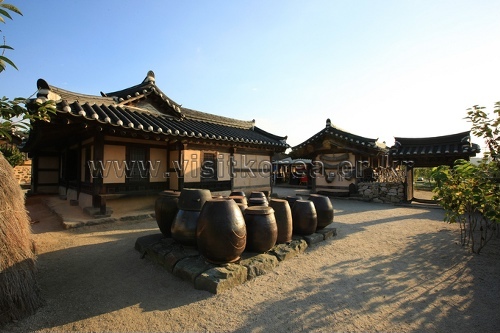 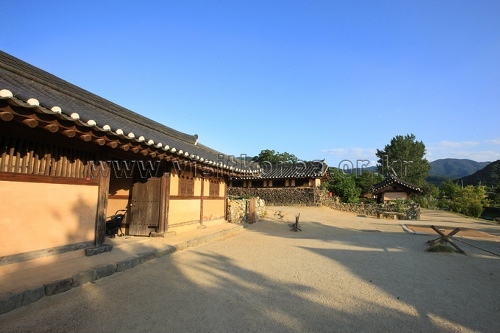 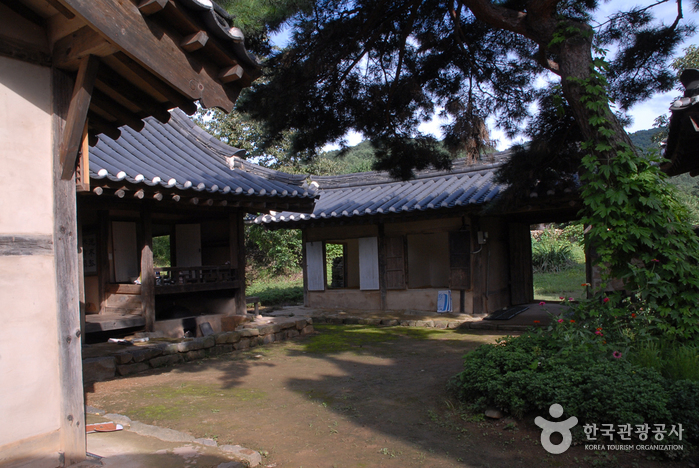 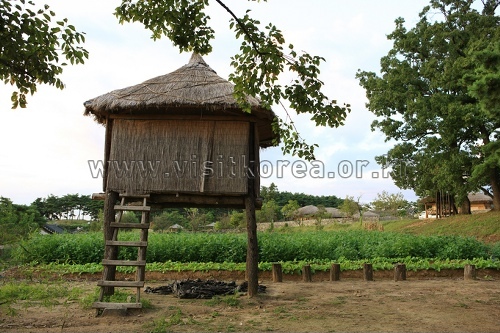 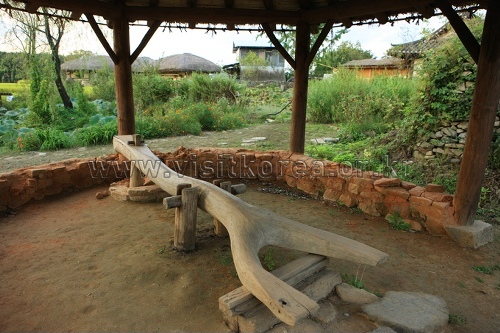 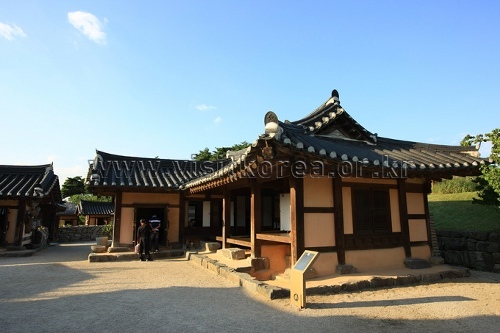 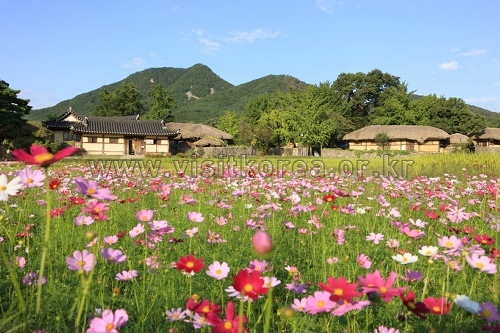 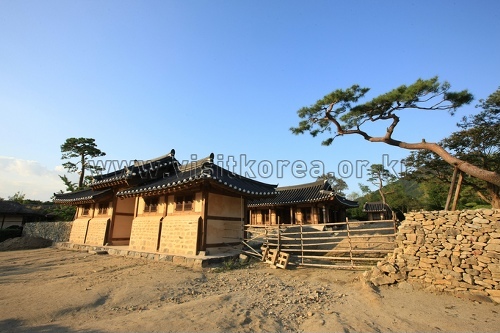 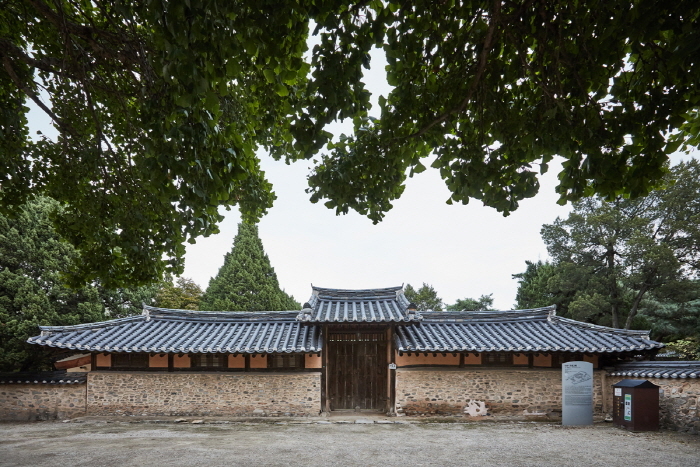 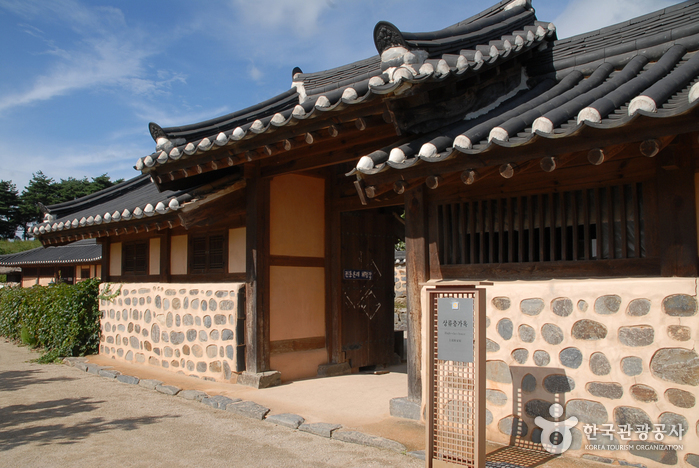 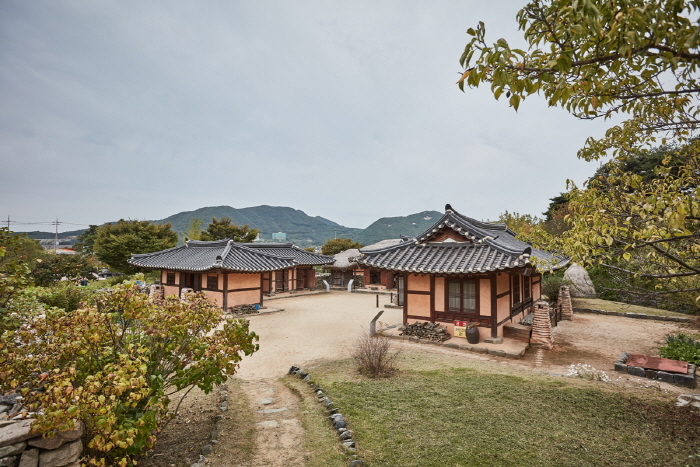 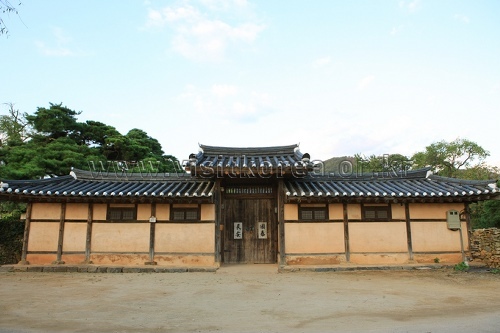 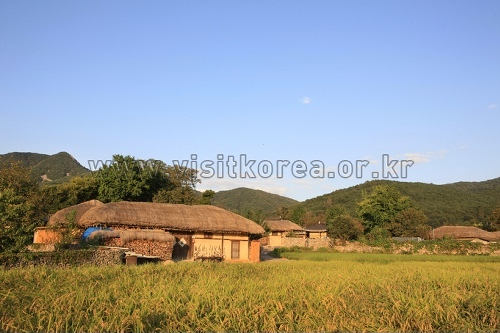 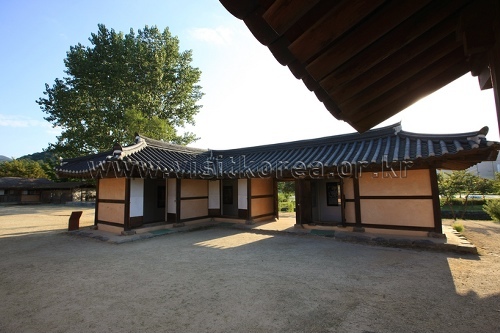 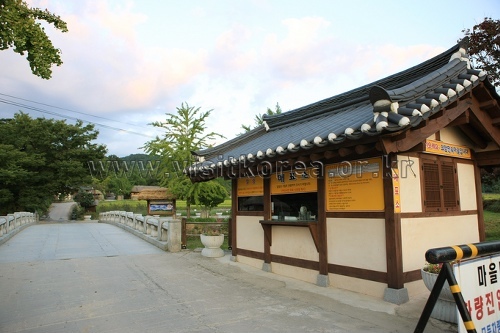 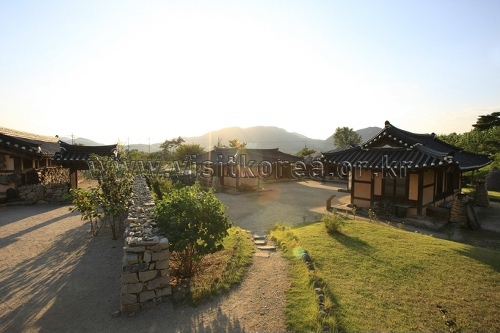 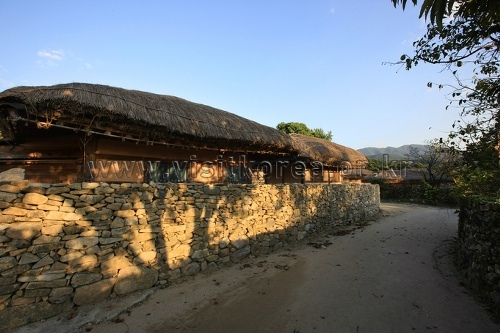 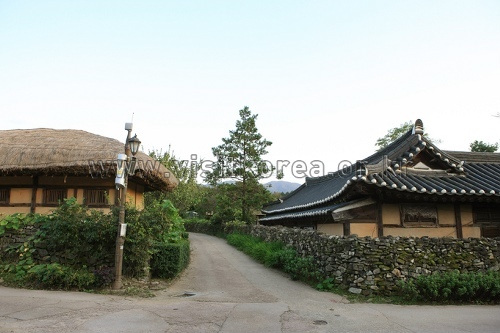 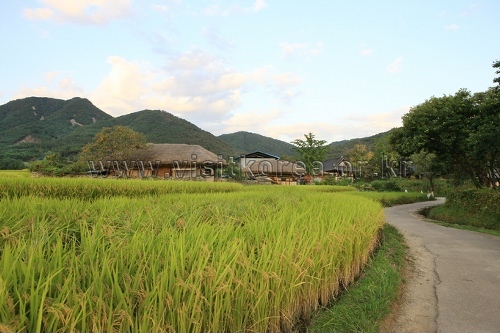 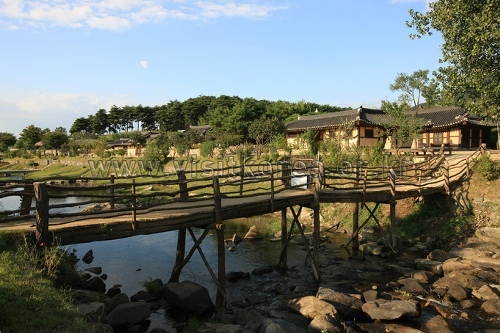 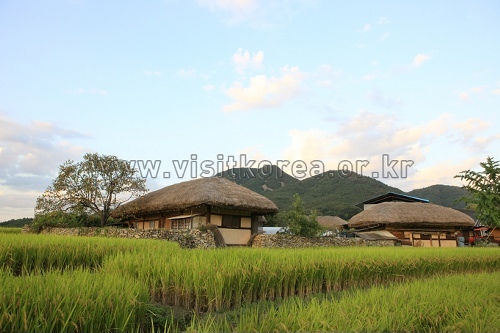 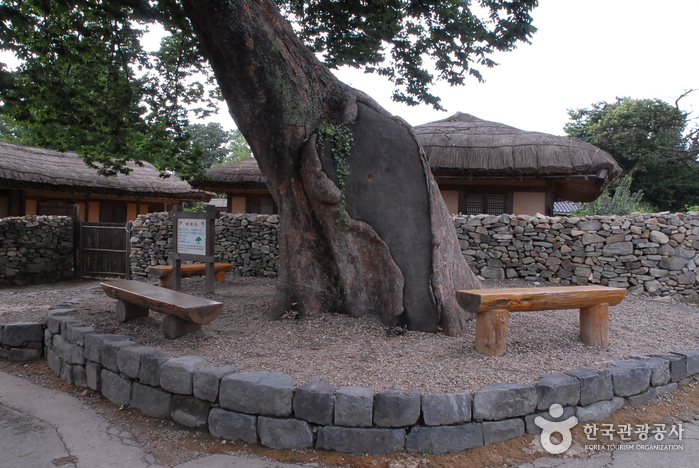 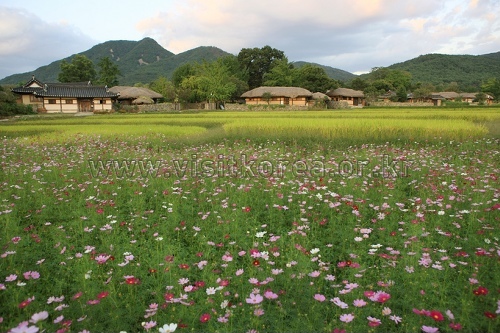 The most famous houses in the Oeam-ri Folk Village are the 'Yeongam Gunsu' House and 'Ichampan' House. 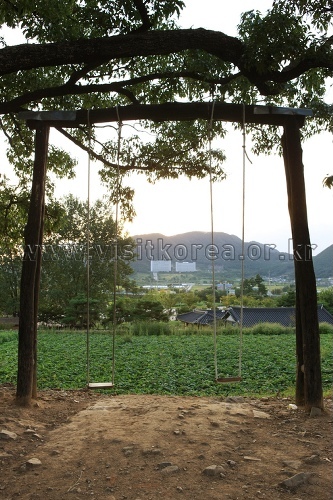 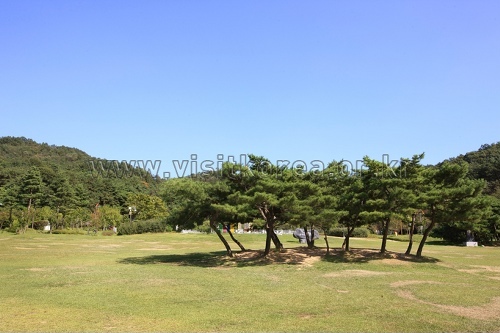 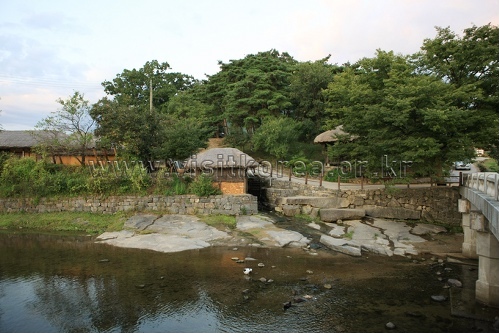 Yeongam Gunsu House has a beautiful garden with thick trees blending with pond and stones. 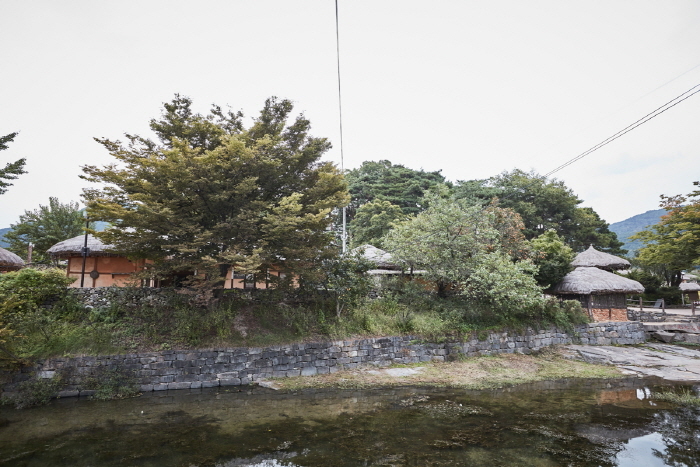 No one lives at the house anymore. 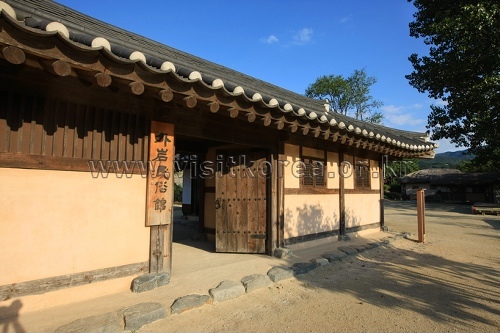 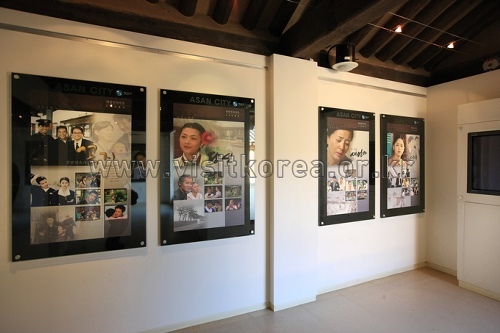 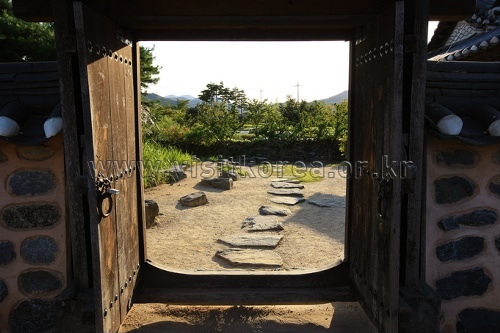 Its entrance has a sign which is said to be written by Chusa Kim Jeong-Hee. 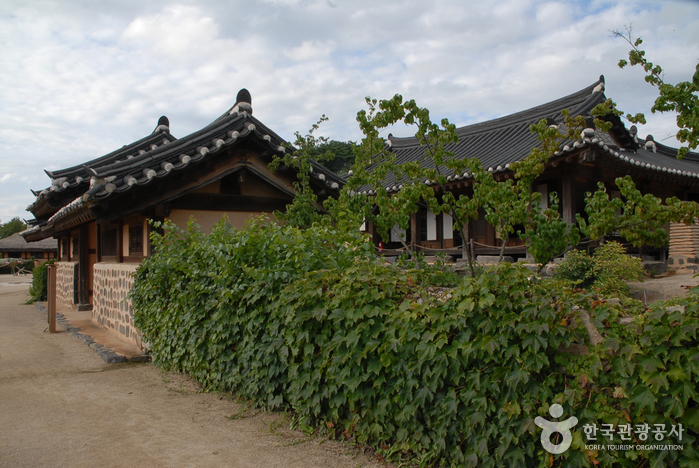 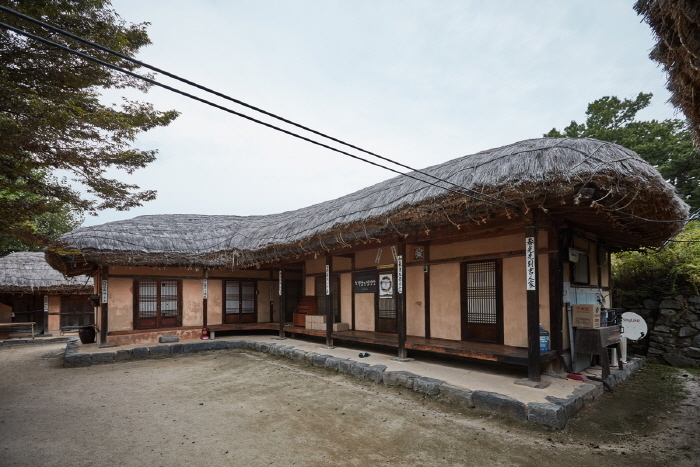 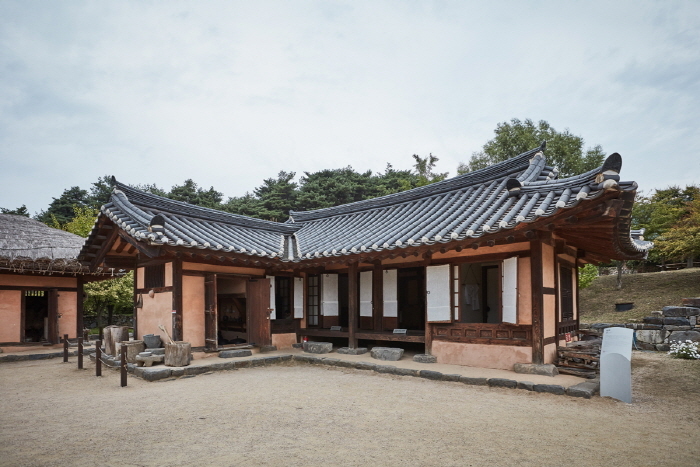 Ichampan House is designated as Important Folk Monument, and people who live here have been making a folk wine called Yeonyeopju for generations. 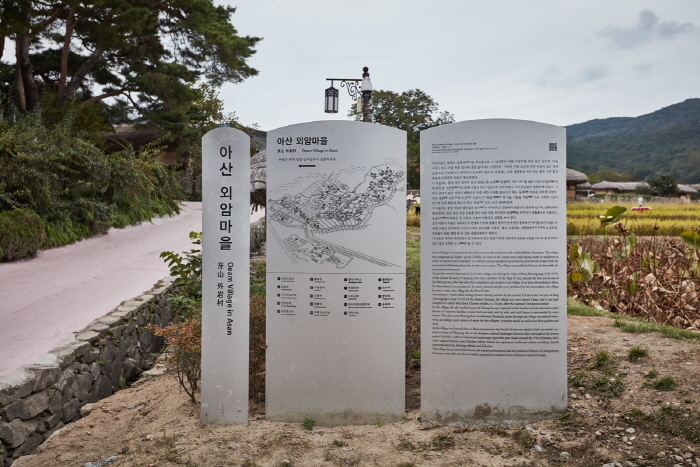 This wine has also been designated as an Intangible Cultural Asset. 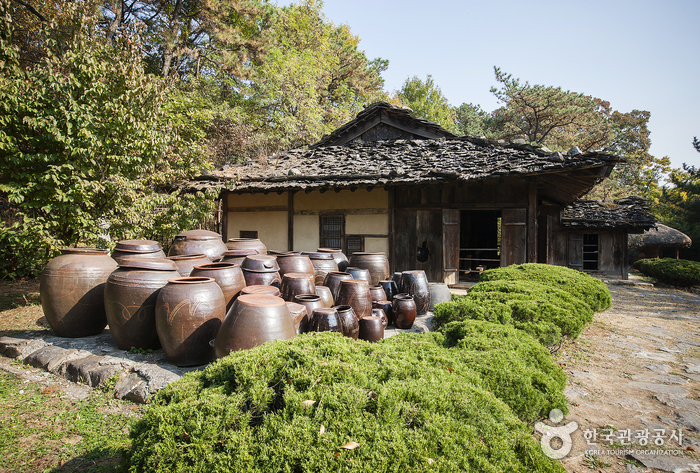 It was a wine offered to the king every spring and is made with Nuruk (glutinous rice) and Yeongeun, mixed with fermented evergreen leaves. 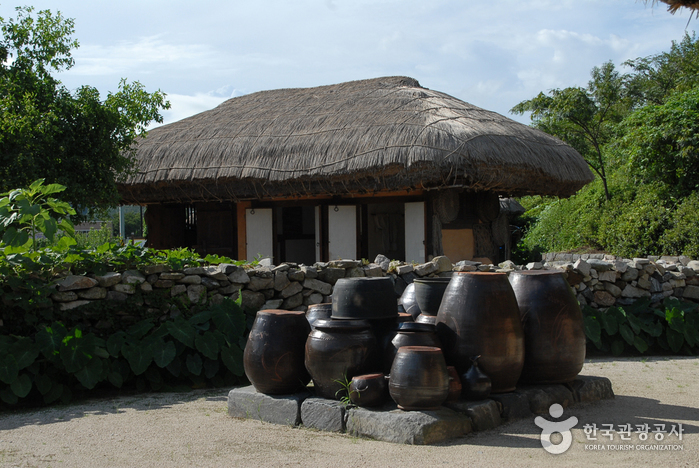 The entire village of the Oeam-ri Folk Village is called a living museum, because the old ways are so well preserved everywhere. 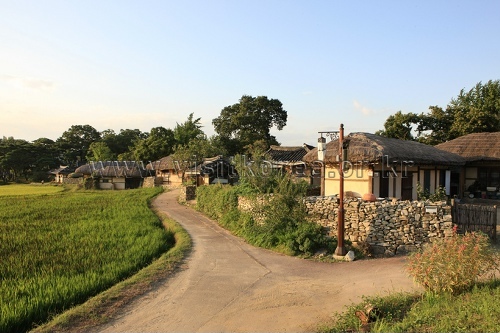 It takes about an hour and a half to go through the entire village. 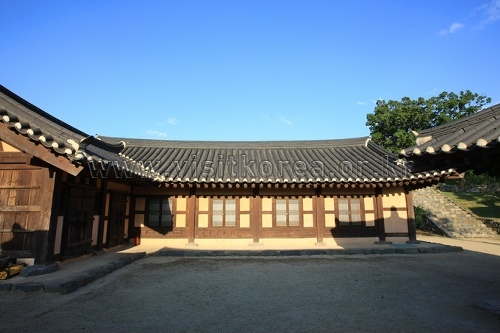 * Programs are subject to change. 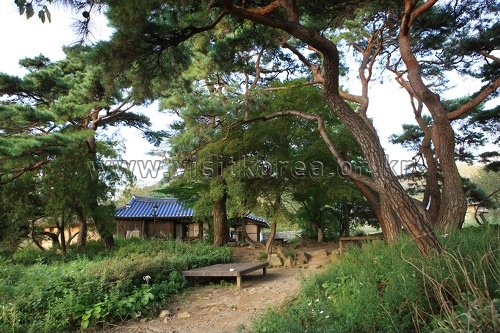 Please kindly refer to the homepage or make a phone-inquiry before visiting. 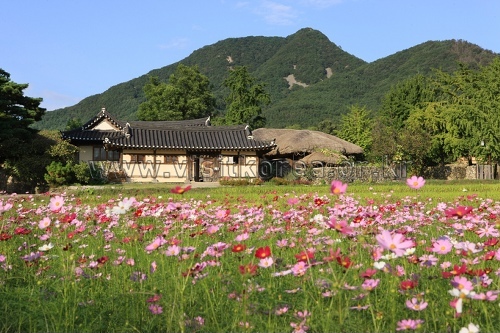 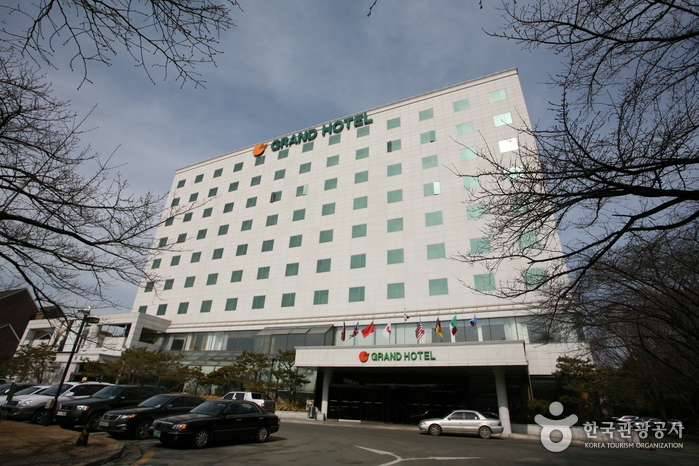 From Seoul Station or Yongsan Station, take a train to Onnyang Oncheon Station. 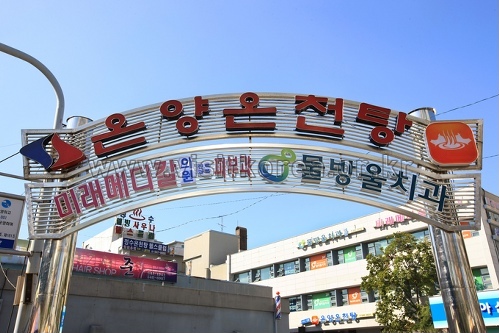 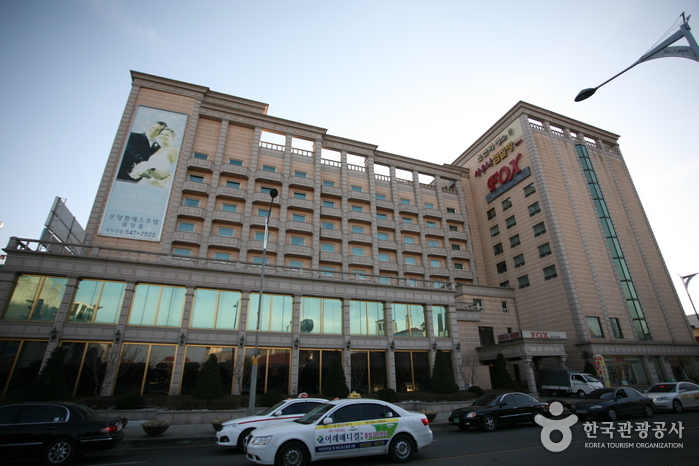 Take Bus 100 or 130 and get off at Songnam Elementary School (송남초등학교). 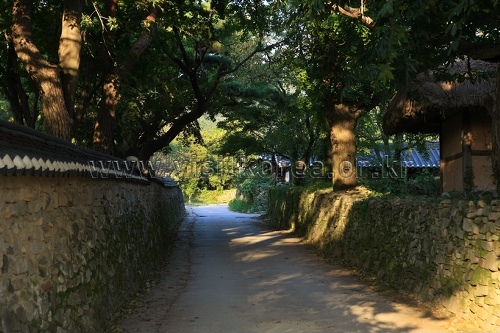 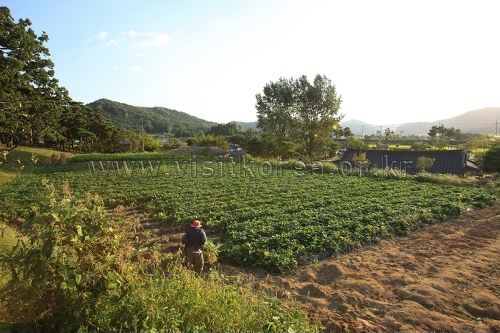 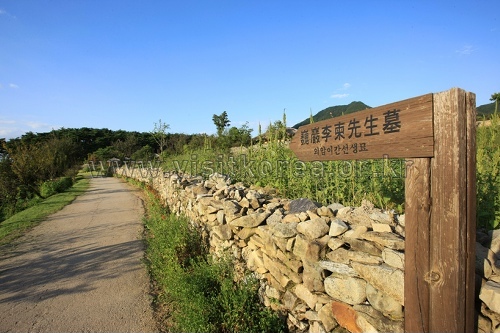 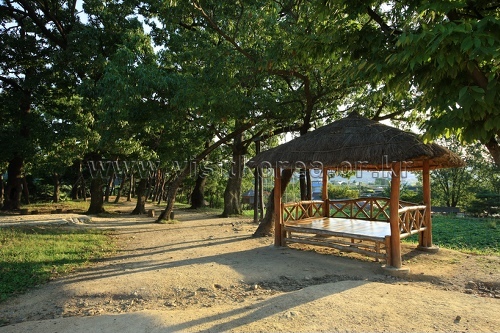 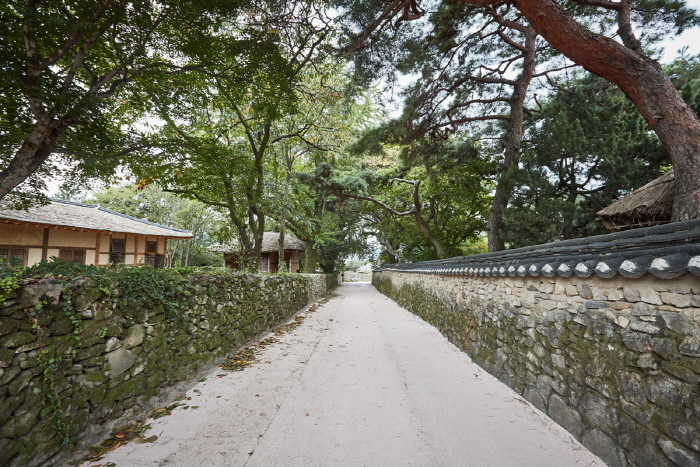 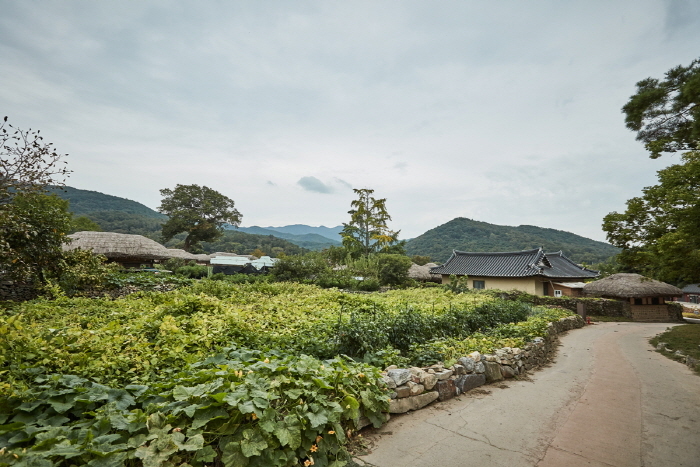 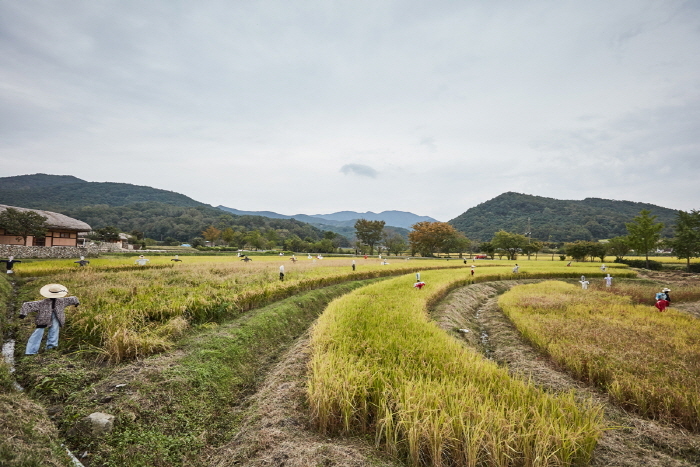 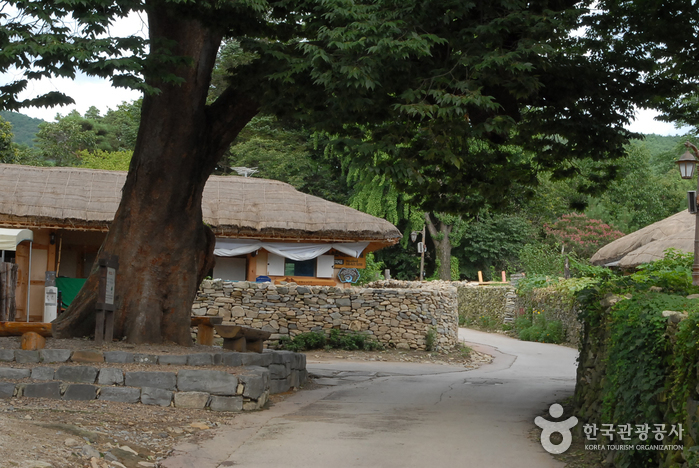 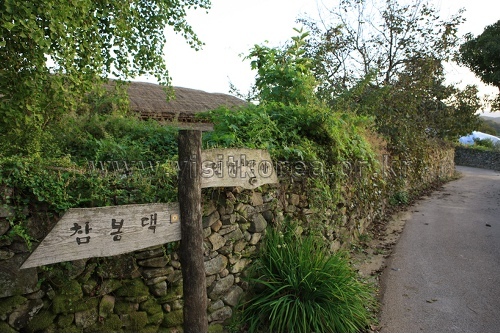 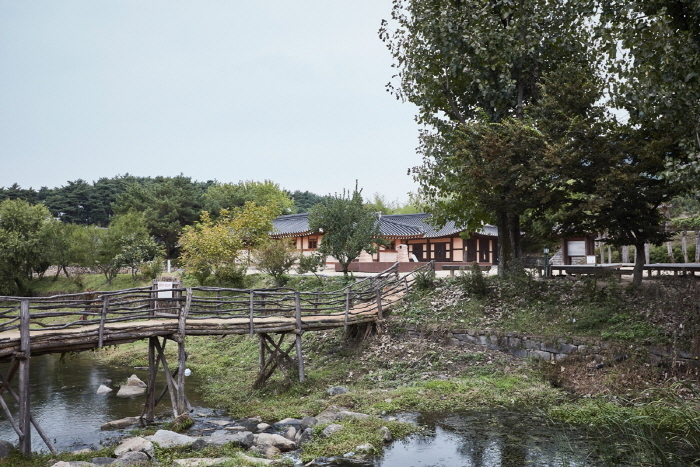 Walk 5-10min to Oeam Folk Village (외암민속마을).